It's finally HERE! CYBER MONDAY!!! Use coupon code: CYBER2016 to get an extra 10% OFF any purchase! 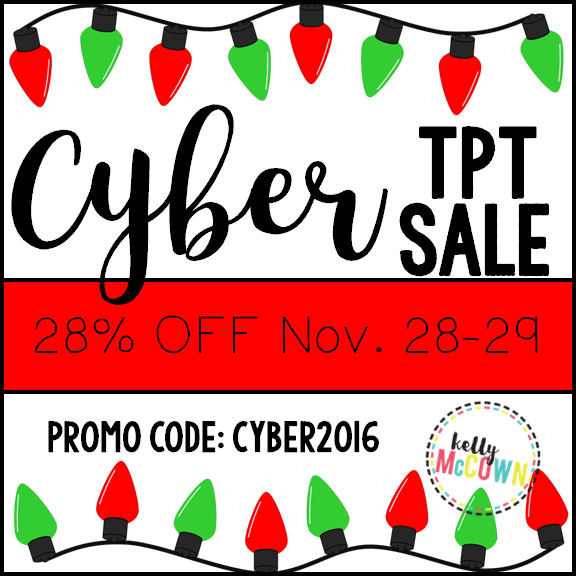 Click HERE to visit my TPT Store that is 20% OFF November 28 & 29, 2016. TPT-iversary SALE + Gift Card Giveaway!